You may still be recovering from the celebrations of Christmas and New Year, but this is no time to pause and think you can get out of considering celebration-themed gadgets. No! Valentine’s day is only 41 days away! 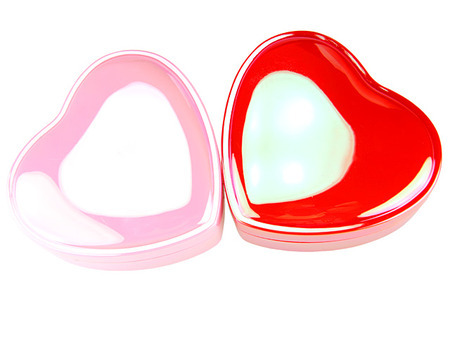 Get your hands on this heart-shaped phone quickly. Giving this to that special man/woman/picture of Zac Efron in your life will say I love you to whoever it is in the way that only a heart-shaped gadget can. Buy this gadget for the kitsch design rather than the technology involved. It’s a landline phone that plugs into your standard phone port via the cable provided. Features include a tone/pulse switch and a flash and redial button, it’s not exactly rocket science. 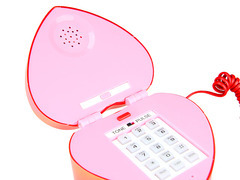 But, as gadget4all say, it will remind you to call the special person who gave it to you. AW.